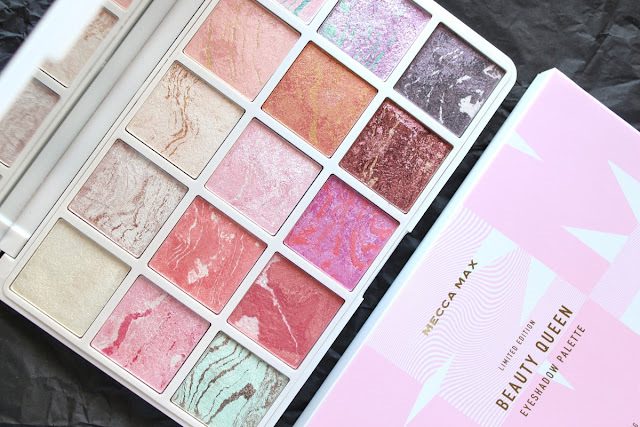 Fit for a beauty queen is this limited edition number by Mecca Max that is loaded with 15 dreamy, shimmering pigments for the eye and face to achieve the ultimate glam factor. Not going to lie, the marble effect sucked me right in and I could not resist temptation! Do I need another palette? Heck no, but it is unlike anything I own and it is heavenly. As soon as you open that lid, a rainbow of marbled, gleaming colours hits you in the face and if I had to describe this palette in one word, WOW pretty much sums it up! 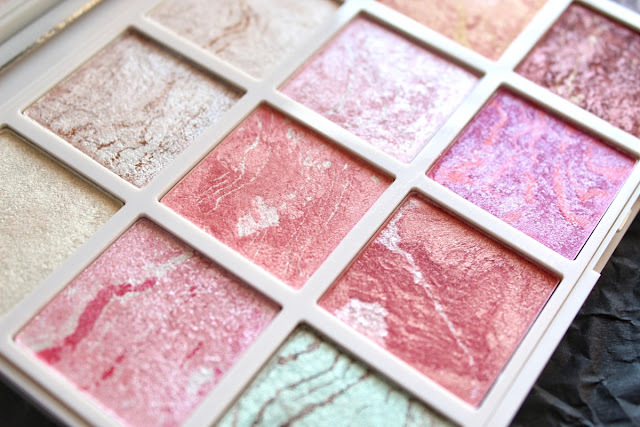 Inside this huge palette you'll find a variety of shades from light to dark and everything in between, so it's quite versatile in achieving any makeup look you desire. It also comes with a large mirror which is always handy for on-the-go and the hard plastic case feels sturdy and durable, so you don't have to worry about its survival during your travels. The size of the pans were a pleasant surprise and for $38 it is incredible value for money. 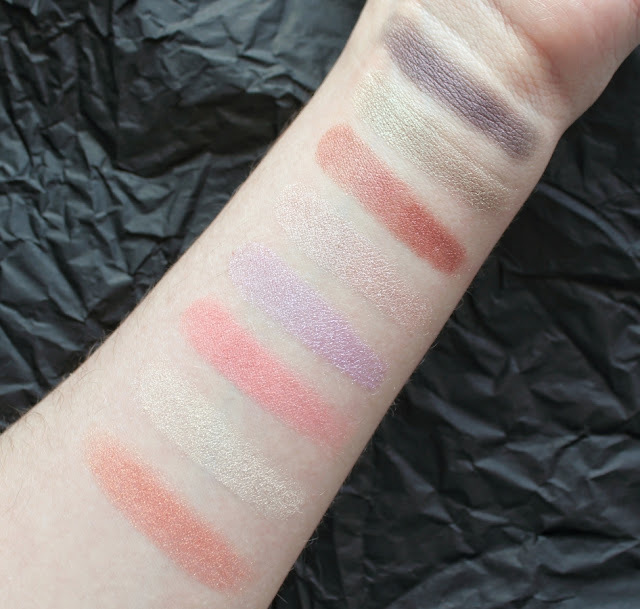 Sometimes I find shimmery shades to swatch beautifully but as soon as you apply them to the eye lids, they blend away into nothing. This is not the case whatsoever with this particular palette and the overall quality is fantastic; They are SO smooth to the touch and don't leave you with a chunky, glittery finish which I am personally not about. There are so many pretty iridescent shades to play with and the possibilities are endless! 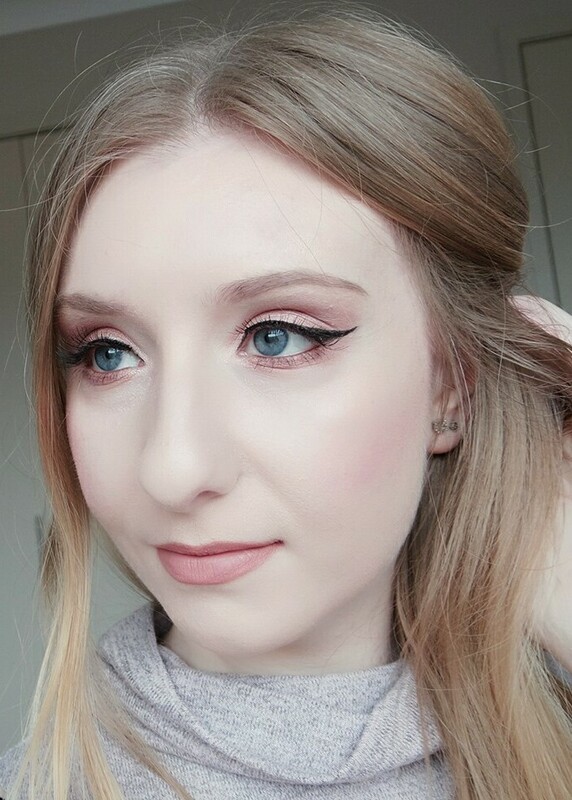 The pink/coral tones make for such a gorgeous cheek colour and the lighter tones really amp up your look if you're wanting a blinding glow. I've found wetting your brush before hand takes it to the next level and you're left with a metallic-like shimmer that will definitely give you that wow factor. A great selection of warm and cool shades that will suit many skin tones. This palette was definitely love at first sight and you can tell that a lot of effort went into creating it because it is stunning in every way! 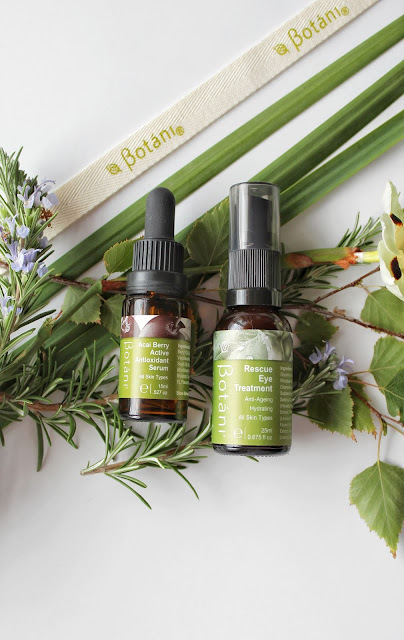 The pigmentation is there, the shades are blendable and easy to use and it's a fun palette to experiment with different looks and colour combinations for your eyes and face. It's almost too pretty to dip your brush into (the shimmery marbling is almost hypnotizing) and it really is fit for a beauty queen. I highly recommend snatching one up while you still can! Urban Decay Backtalk Palette. Worth The Hype?